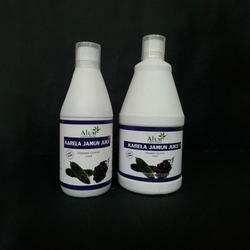 We are a leading Manufacturer of diabetic control juice and karela jamun mix diabetic juice from Jaipur, India. Balancing Blood Sugar Level is no more difficult now! Presenting Diabetic Control Juice contains 11 most helpful Herbs in Diabetes. Diabetic Control Juice contains unique blend of Karela, Jamun, Arhad, Bahad, Amla, Gudmar, Giloy, Aloe Vera etc. which starts showing results within a week. 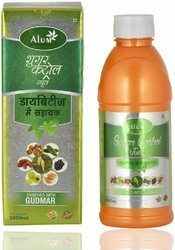 Specially prepared keeping in mind Diabetic people Karela Jamun Mix Diabetic Juice. Help maintaining sugar level in control naturally without any side effect.